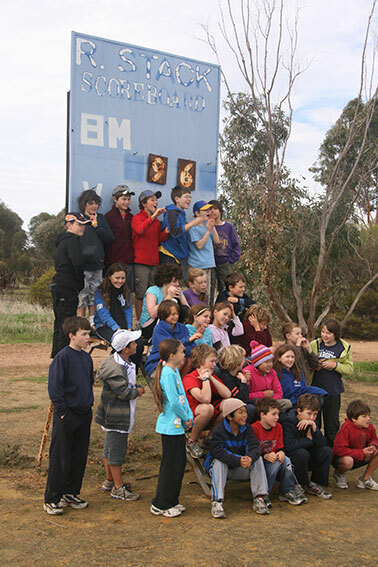 Miling is located about 200km from Perth in the northern wheatbelt – our photos were taken by legendary Rosalie Primary School teacher Greg Johnston during a school camp in 2009. 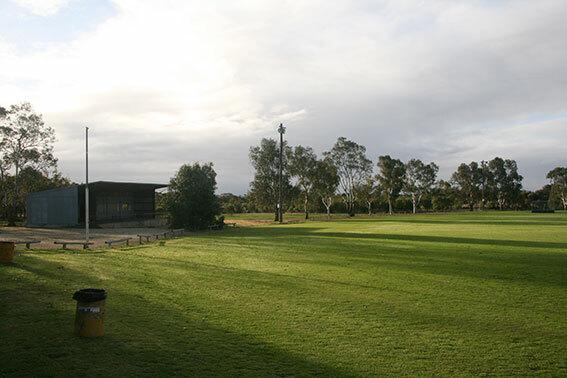 The Miling Sports Ground was the home of the Bindi-Miling Football Club that played in the Central Midlands Coastal Football League from 1992 (when the CMCFL was founded) until 2004. Before that it was the home of Miling in the Central Midlands Football League. One the stars of the Miling Football Club was Phil Le Cras, grandfather of West Coast’s Mark and Simpson Medal winner Brent who played for West Perth and North Melbourne. Phil won the CMFL fairest and best award six years in a row from 1958 to 1963. 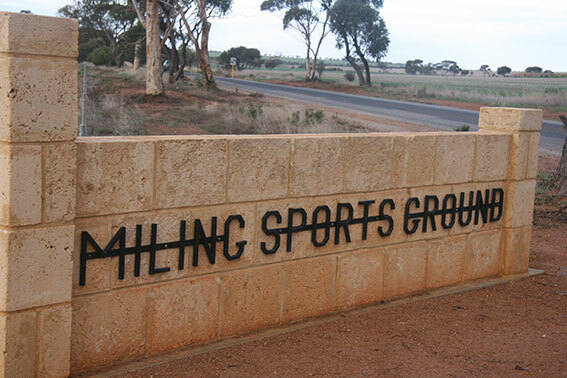 Bindi-Miling won premierships in 1993 and 1997 but the footy club no longer exists. 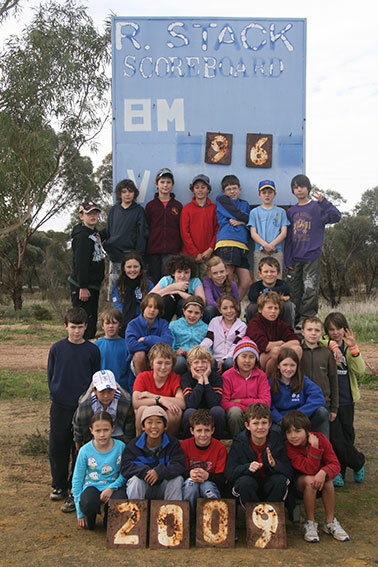 Thank you Greg Johnston, and the students of Rosalie Primary School 2009, for these charming photographs.I imagine the children of Rosalie 2009 are now in their final year/s of high school. May the scoreboard of life treat you kindly.